Updated information will be available on the Pennwriters.com website after August 2018. In the meantime, for timely updates, visit The Writer's Road Trip Facebook Page. 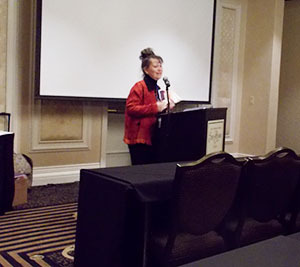 Conference includes multiple learning tracks taught by published authors, writing mentors, and local celebrities; boxed lunch, silent auction; networking; and more. 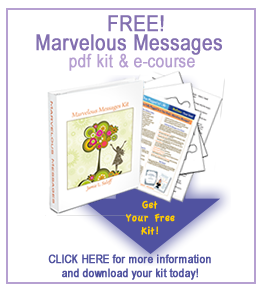 Marvelous Messages™ is a step-by-step method to finding hope, inspiration, and spiritual insight. Tennis elbow, hurt all over?" Are you ready to move forward from all this? 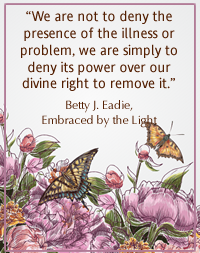 As the author of Marvelous Messages, I believe symptoms can mirror a personal, ongoing life issue. I have found that, if we know how to interpret them, these annoying symptoms can often offer intuitive guidance and solutions to resolve them. Now I've turned my how-to book into a live workshop you can attend online. Next Session: Dates TBA Soon. These events have come and gone. Hope you were there to enjoy them! From Jamie: "Folks, this one is really near and dear to my heart — and right in my own backyard. Having been a long-standing member of Pennwriters since 1993, I can tell you that these people put together events you won't want to miss. The speakers, many of them who are multi-published, are friendly and open to conversation. The class sizes are not overwhelming, allowing for ease in asking questions. This mini-conference (the large, statewide one is held in May each year) has three tracks, a wide variety of teachers and speakers, and, of course, ME! So if you've been wanting to learn more about writing and publication, please check out this event." Let’s have fun as we challenge each other while learning the hidden costs and profits in publishing. Explore the fees of popular self-publishing outlets. Learn how to calculate your royalties and income. Discover the best route for you and your book. Will you be the one to win the challenge by earning the most? In this workshop, you will learn about self-publishing while having fun playing Jamie’s Profit or Loss Game! All will be winners as Jamie explains all aspects of self-publishing while you compete against your fellow writers struggling to reach “published” standards while remaining profitable. Get motivated and supported. Travel the Write Road. Buckle-up and join with like-minded peers for this fast-paced ride. More details coming soon. Writer's mini-Conference. 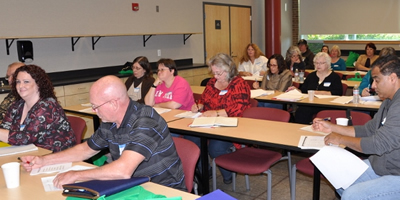 A full day of writer's workshops taught by published authors and other experts. Includes lunch. More details coming soon. During this workshop, you will walk through the 7 easy steps to publish your print book, while learning valuable, sales-making tips for producing a quality-looking product that makes buyers rave. There will be plenty of time to ask questions and receive answers from someone versed in working with non-techie authors. In addition, you will glean: • Pro-design tips for both inside the book and on the cover • Cost evaluation sheets for publishing, promoting, and money management • Must dos and don’ts that create profitable, well-selling books • Where to get free, secret pro-guides to walk you through the sticky parts • How to ensure your book is available worldwide • And much, much more! 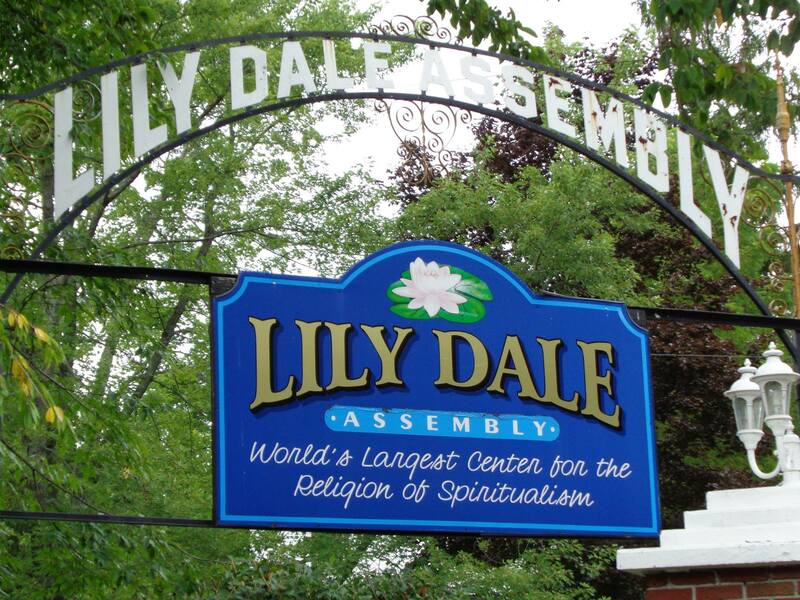 Lily Dale Lyceum, Lily Dale, NY, 7-10 p.m. $50. Palmyra Inn, (Rochester, NY area). Nowadays we face each new morning burdened with the stress of life's challenges: pain, injury, and other afflictions care for loved ones who can no longer navigate on their own, loss of income, loss of life. . . sometimes it feels as though we just get through one thing and something new hits. If you're seeking refuge from the storm, looking for a means to navigate to calmer waters, come and join Jamie, Kathy, and Trish as they share how they restored peace to their lives and you can too. If you're seeking refuge from the storm, looking for a means to navigate to calmer waters, come and join Jamie, Kathy, and Trish as they share how they restored peace to their lives and you can too. Legally blind business woman, mother of 2 adult boys and wife of 25 years Trish Laube, will be speaking on how you can learn and use the 3 E's of empowerment to rise above and overcome the emotional stress of challenges at work and at home. Learning how to rise above our challenges and controlling our emotional states provide us a life with less stress, anxiety, depression, and fears. 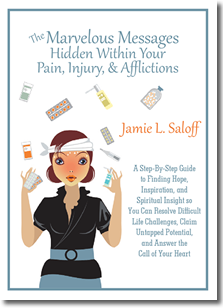 Author Jamie Saloff will be demonstrating her method of transforming the language of pain into a message of hope and possibility, as described in her book "The Marvelous Messages Hidden in Your Pain, Injury, and Afflictions." Saloff is also a Lily Dale trained evidential medium. Kathy Mincer, Home Health Aide and Owner of Believe with Young Living Oils, will be sharing about how essential oils can guide you to a greater purpose, wellness, and abundance. Come out for an enjoyable evening of learning and fun. Walk away with an understanding of how you can live with less pain, stress, anxiety, depression, and fear. Event cost: FREE Seating is Limited to the first 75 – Click here to learn more and to register. To learn more about the workshops, the conference, and registration details visit the Pennwriter's website. 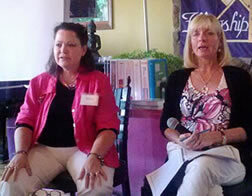 Host "Angel Lady" Terrie Marie will be offering interviews, live call-in, and online training. http://www.angeldreamteam.com. Beginning February 29, join our mind-freeing, writer's accountability coaching with co-teacher Pat Matson. Last year's Jumpstart Your Book program was a huge success and we're bringing it back this year with a twist. Click Here for free tips and more information. 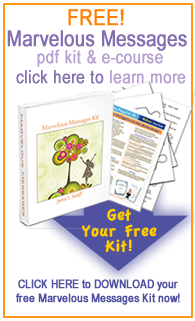 The Marvelous Messages Hidden in Your Pain, Injury, and Disease. Talk and demo. 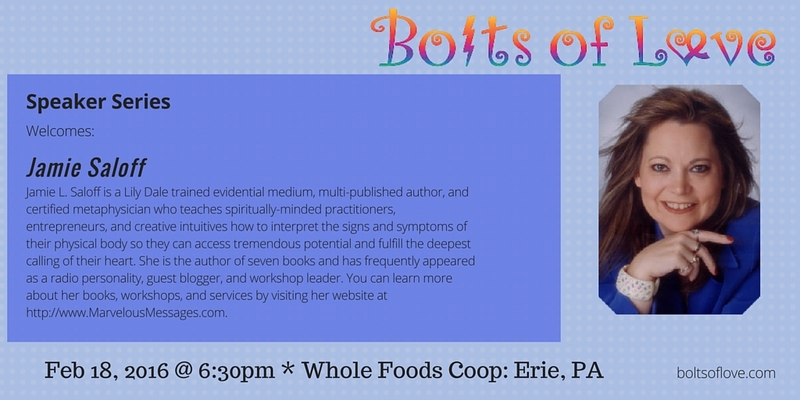 Whole Foods, Erie, PA 6:00-8:00 pm. and How to Recognize Earth Angels Intervening in Your Life. Internet Radio with Mary Oquendo and Laura Sanger Watkins. Jamie will be talking about your Money DNA and how your cellular ancestry affects your money mentality, as well as the basis for her forthcoming book, The Marvelous Messages Hidden in Your Pain, Injury, or Disease. Listen to the recording here. Jamie is one of 40 artists who have contributed a card to the Divine Love Oracle Deck. Learn more here. 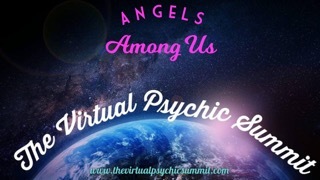 This amazing virtual event put together by Tonya Melendez is hosting psychics, healers, mystics, and readers from all across the country in a spectacular five-day event. Sign up free to access their teachings, readings, and other offerings, plus free gifts, a raffle for fantastic swag bags, and much, much, more. Have an amazing story idea, but need to learn the basics of how to write a book, short story or poem? Or maybe memoir and non-fiction e-lancing is your thing. Creating a story or article that is dynamic and engaging takes a lot more than just setting aside an hour every day to write. 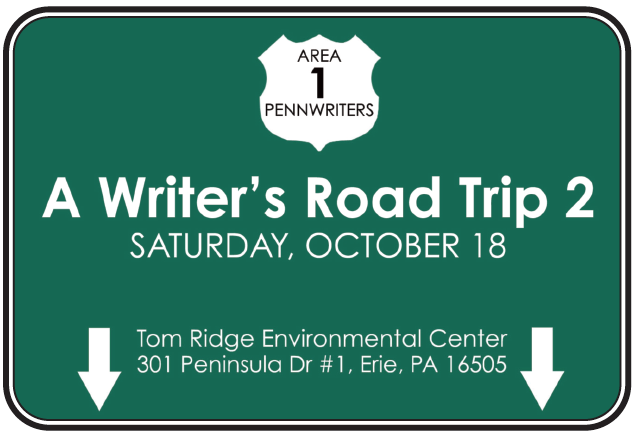 The Writer’s Road Trip 3 will take you through the basics of writing a fiction novel, short story, article or poem. Including how important it is to complete valid research, choose a great title and setting (and how it affects your plot and theme), how to build your characters so that your readers care about them, how to write great dialogue, and more! Learn the ins and outs of how to write, market and blog a book, article, short story, memoir or poem with our workshops and get your idea to jump off the page! 1. Drive Down Memory Lane: 4 Ways to Make Your Memoir Profitable: Are you writing a memoir? Unless you're a celebrity, sports star or other well-known personality, you may find sales slump without these few important keys to writing, publishing, and marketing your life's story. During this workshop, Jamie will call upon her years of design experience in the print-on-demand field to share ways memoir writing can be more profitable. You’ll want to know these valuable tips before you publish your book as knowing even one of these vital points could gain you tremendously in sales. Included in this informative class will be a) tips on how your story can be turned into multiple books; b) where the biggest dollars are for memoir sales; and c) how to ensure you’re targeting the right buyers when writing. 2. Driving Home the Sale: Are you selling books (art, products, or services) and engaging potential buyers in a profitable way? Do you want to avoid sounding like that annoying used-car salesman who’s pawning off his lemon? (I know you do!) In this interactive class, you’ll create a road map to selling success. Jamie will show you how to engage clients in a way that will have them doing the selling for you and keep them coming back for more. You’ll learn how to write website copy and social media comments that attract the right clientele to the books or other items you want to sell. You’ll learn the three types of customers you want to attract (and the one you don’t). Have you always dreamed of writing a novel or an article for your favorite periodical, but didn’t know where to start? Perhaps you have written stories but feel you need to improve your characterization. Maybe you’ve wanted to take an off-road: try your hand at becoming the next food critic, explore travel writing, or use your skill-sets to capitalize on the next “sensational news” event. 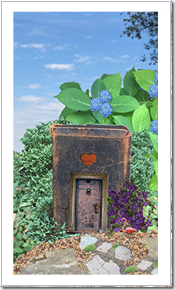 Pennwriters, a not-for-profit organization established in 1988 as a networking organization for published and aspiring writers of all genres. The group offers an annual three-day writers conference, area events, and has a strong internet presence with email groups, online classes, and social networks. Authors who meet the set criteria are granted Published Author status. For more information about Pennwriters and its members, visit www.pennwriters.org. 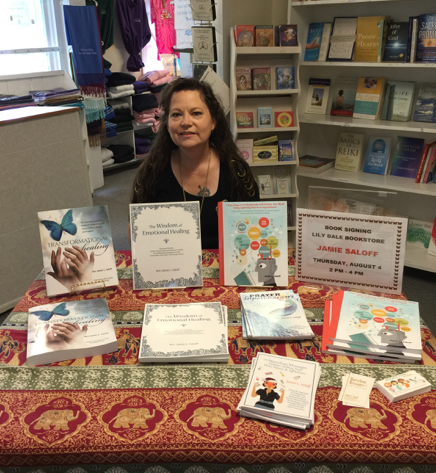 Jamie Saloff is co-teaching seminars with Anita Pizycki, CEO of IASE (International Association of Spiritual Entrepreneurs). 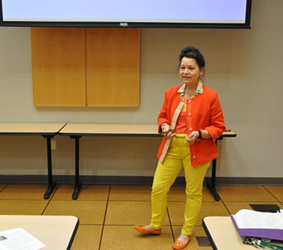 July 22, 2012: Metaphysical Marketing Mastery: 4 Steps to Boost Your Heart-Centered Business from Surviving to Thriving Will be taught in a live classroom setting in Lily Dale, NY at Fellowships of the Spirit. Are you a healer, medium, or spiritual entrepreneur? Is your spiritual/metaphysical business struggling against a tight economy, preventing you from making the money you want to meet your expenses, comfortably take care of your family, and do the things you love most? Are you constantly exhausted from working long hours, frustrated with dated sales methods that don't work, and stuck with tactics that offer meager results? Imagine instead attracting lucrative clients who want to pay you what you are worth, giving you the opportunity to earn more in less time. Delight in having clients seek you out and recommending you to all of their friends. Regain the passion of sharing your gifts by gaining clarity around how to effectively promote your business with ease and grace. See them live at the location above, or check out their homestudy program by clicking here. Jamie will be chatting about the new, deeper way she is working with authors, helping them to clear life blocks and karma passed genetically via DNA, while opening their lives to fulfill their truest calling and life purpose—which for authors includes writing a book to teach or entertain others. You are here to live a big beautiful life. Join us for this inspiring summit where you'll have a chance to meet great teachers, authors and adventurers. 24 Fantastic Teleclasses! Tons of free gifts including ebooks, guided meditations and much more! Three categories of classes: Rock Your Life, Rock Your Business & Rock Your Soul! Meet world class teachers and coaches ready to Rock Your World! Learn real ways to make real changes so that you can make your dreams a reality! 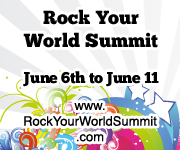 Receive fabulous bonuses and freebies to help keep your world rockin'! Even though the event is over, you can still purchase the recordings to the whole summit by clicking my affiliate link here or if you want to hear just mine, look here. Rev. Jamie L. Saloff will be speaking on Why Do I Feel Like an Ugly Duckling When I'm Really a Swan? Learn how secrets hidden in Hans Christian Andersen’s Ugly Duckling fairy tale reveal how to master your life and empower your past, including: Why you sometimes get the urge to run away from everything and everyone (and may even have a list of what to take); Why you may have felt as if you were adopted growing up (but probably weren’t); Why you may continually fight with chronic ailments; Why you struggle to make decisions; Why you may be a driven workaholic, shopaholic, Internet addict, movie addict, or even an alcoholic or drug addict; Why you may carry extra weight and can’t drop those 20-30-40 pounds or more; Why you may have had suicidal thoughts, particularly as an adolescent; Why you aren’t afraid to dress or act differently from others; And why your unusual childhood is so important now. 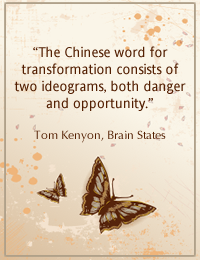 Learn how to turn these “symptoms” into tools that can transform your life now–instantly. They are all entwined within a children’s story you may have read growing up, fondly remembered, but never fully comprehended its implications toward YOUR life. You too can be transformed into a swan if you: Surrender to the calling of your heart; Be Willing to take the first steps forward. Become Aware of the doors opening all around you. Never doubt that you are here for a reason. During the call, Jamie will talk about the Swan’s transformation and offer 3 keys to making it happen. Along with friend and fellow FOTS classmate, Rev. Kris Seastead, we offered demonstrations during the WWSE 93.3 Women Who Wine event held at Roberto's restaurant in Jamestown, NY. The evening offered wine tasting, games, prizes, and fun. 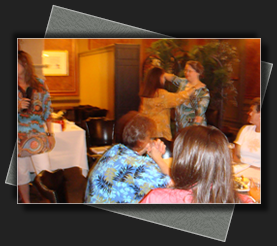 I'm shown here doing a basic energy check using Donna Eden energy medicine.